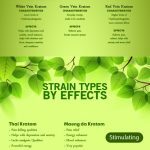 What You Have to Know About Kratom Ban? Kratom ban has become an issue that the government started looking at it closely and proved their stands against Kratom. Consumers who are passionate about Kratom have done everything they could in the past year to help lift this Kratom ban that’s been proposed. The AKA (American Kratom Association) have now come forward to form a petition. This petition which includes the acknowledgment of each Kratom customer by voting their support on upliftment of Kratom ban. Representatives of Kratom have put so many efforts to use social media to educate everyone around us about the truth behind this issue. But, all those efforts tend to go in vain because of the negative news press that makes the issue go worse. What we need is very clear – someone on our side who knows the truth about Kratom and also has the influence, power and is determined to support the true cause. That representative should be unbiased so that he is prepared to find the real truth and help the Kratom community to overcome the ban. This article would be of great benefit to those who seek support for the ban lift. There is a number of scientists, doctors and government officials who are qualified enough to put forward some important facts that would be crucial for supporting the ban lift. But, all these counts have been missed by the FDA though they are up against Kratom with full force. A number of allegations have been put forward by the FDA to make people support against Kratom. They insist that Kratom is responsible for the number of deaths in various cases. All these allegations put forward by the FDA seems totally out of sense and if the one from Kratom community hears, would wonder. There is an act called the Dietary Supplement Act. A number of people in America have chosen to use Kratom under this Act. The choices made by this act should be respected by all regions of the government and the FDA too. The FDA which is intending to push this case across the table of DEA so that they can expect the ban of Kratom. All the efforts of our representatives have been heard by somebody. We’ve been fighting all these days and it didn’t go in vain. There is a committee set by the speaker and they’ve appointed a state representative to study the risk factors of Kratom. The accuracy of the FDA’s statement has been questioned by the state representative. These studies pave a way to get the reality of Kratom. So, all the misinformation fed by the FDA and others of their kind proves to be inaccurate and false. Blame that a series of deaths happened because of Kratom has been brought into the scenario. There were other substances in those subjects and the FDA failed to fill the flaw. And it was proved that Kratom is not actually the reason for the series of deaths. There have been many campaigns that are biased that points against Kratom plant. But, the truth is that Kratom never leads to any ill effects or deaths when consumed uncontaminated. But the campaigns showed by the local television channels were the effects of foreign substances that affected the person’s system. And they don’t want to reveal that to the public. We keep on fighting only but with some powerful person who’s ready to assess the Kratom’s scientific proofs and doesn’t go with the FDA and other such organizations.